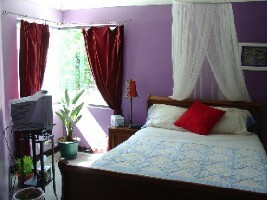 Casa Holanda (or "Holland House" in English) is a gorgeous, four-bedroom, full-service Bed and Breakfast. 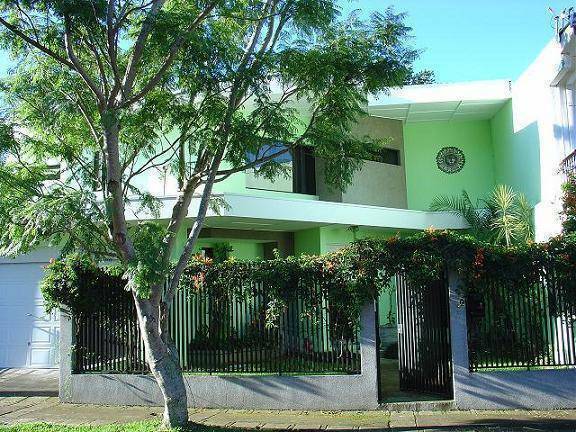 Whether you need a comfortable, quiet place to stay close to the airport for your first or last night in Costa Rica, or while doing business in nearby San Jose, or need a central location to enjoy the many sights in the Central Valley with or without your car rental. We have transportation to and from the airport, garage parking, wireless Internet access in your room, free local calls, cheap International call access and delicious, home-cooked meals to accommodate your stay. Breakfast is always included at Casa Holanda. Take private tours to area sites (waterfalls, hiking, canopy, horseback riding), and dive into the local culture. We host afternoon classical music concerts during the dry season. 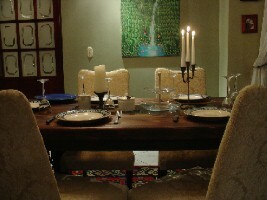 We offer private local "chofer" services and wireless Internet for our guests. A beautiful botanical garden to relax in and enjoy nature. Lunch and dinners are also available. Our rooms on the top floor are all doubles, discounted price for single guests. The Honeymoon Suite is most popular. 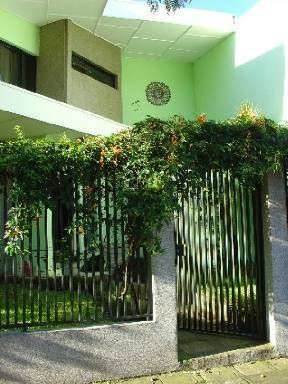 It contains its own private bathroom with jacuzzi, Cable TV, clock radio and CD player, wireless Internet and private balcony. Our mid-sized rooms share one bathroom. All contain their own large closet/vanity room with mirror. 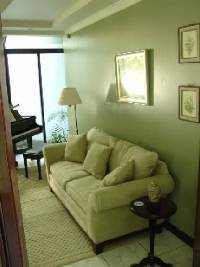 Fresh towels and linens are included and clock radio CD player, cable TV and wireless Internet in each. Our economical room is perfect for the single or disabled traveler. It is located on ground level, the half bathroom is right next door with an outdoor shower with hot water available. When there are no guests in the other rooms, they may use the upstairs bathroom. Wireless Internet is available here too. Residential, quiet and private. Small park adjacent to house and large coffee field behind. Mall Paseo de las Flores and Heredia central within walking distance. Home-made Lunches and Dinners. Optional large dinner. Pizza, hamburgers, and more for delivery and small service fee. South of Heredia/north of Santo Domingo. After reservation is confirmed, we will send directions to you if requested.